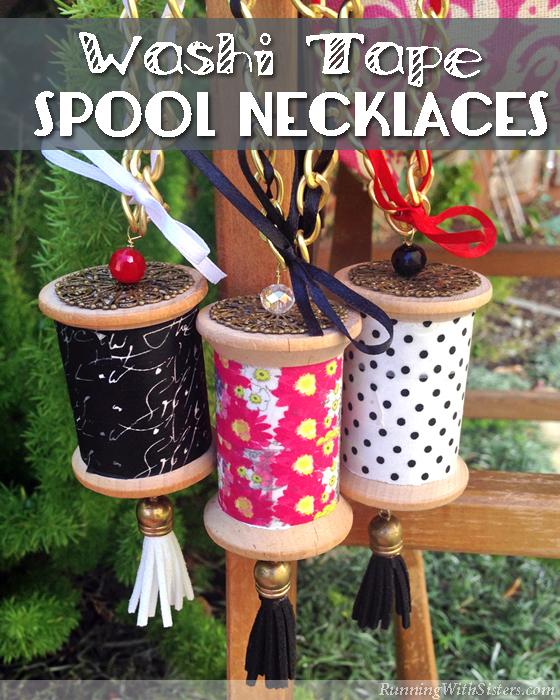 We love how these washi tape spool necklaces turned out! 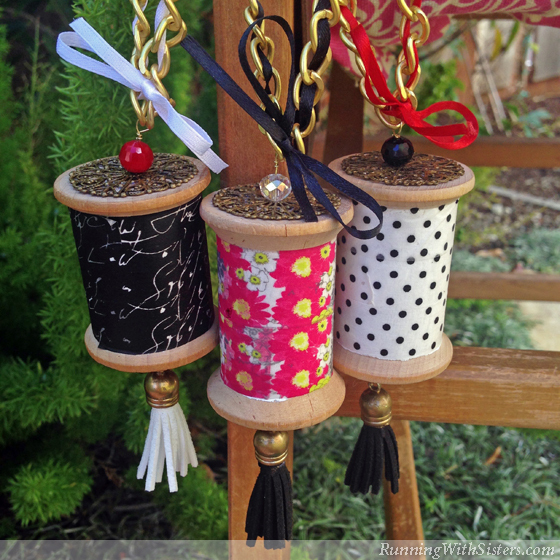 We find old wooden spools at the flea market all the time so we decided to dress them up with washi tape. There are so many fun washi tape patterns to choose from! 1. Start by removing any paper labels and thread from your wooden spool. 2. 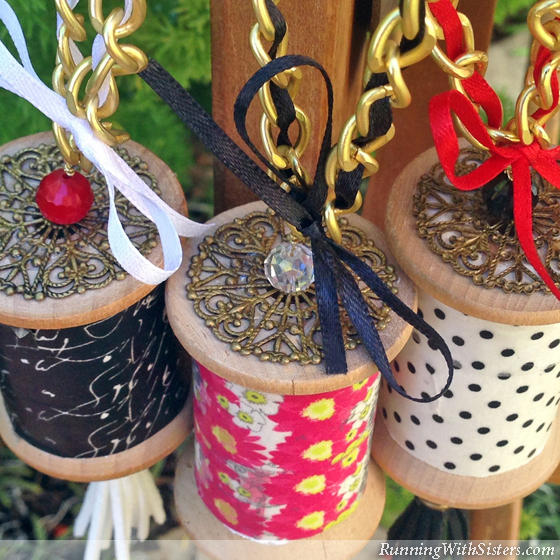 Wrap the spool with washi tape. 3. Use the E-6000 to glue a filigree round to each end of the spool. Let dry. 4. Cut a five inch piece of wire. Make a wrapped loop in one end, sliding the tassel into the loop before you close it. To review how to make a wrapped loop, watch this video we made. If you like our videos, check out our YouTube channel. We’d love it if you subscribed! 5. 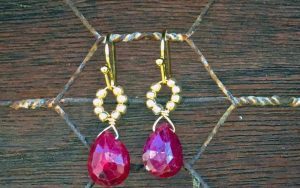 Feed the other end of the wire through the spool and slide on a faceted bead. 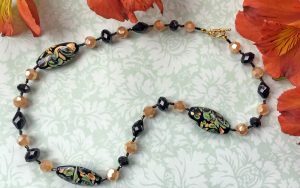 Make another wrapped loop, sliding the ends of the chain into the loop before you close it. 6. 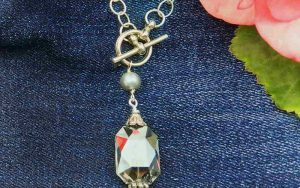 Starting at the wrapped loop, feed one end of a long piece of ribbon into the chain. Thread the ribbon through the chain, then tie a bow when the ends meet. trim the ends. 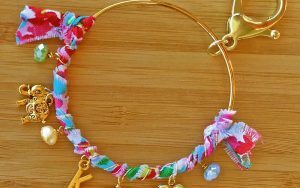 We think our washi tape spool necklaces turned out so cute! With so many washi tape designs to choose from, we might make more! 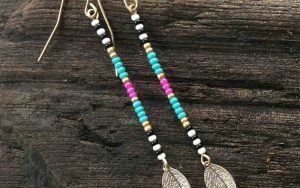 Besides wearing them as a pendant, they could be cute as a home accent, maybe a door knob tassel. What else could you use them for? Let us know your ideas in the comments. We’d love to hear from you!